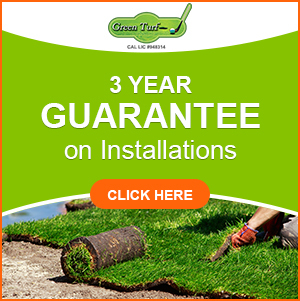 Are you looking for the best artificial grass company in San Diego county? There’s no reason to look for “just any” artificial grass company when you could go with the best one. It can be so hard to determine the best one, though, because there are so many variables. Some people just assume the most expensive company is the best one, but that doesn’t seem accurate in most instances. But one variable that really sorts companies into chaff and wheat is their reputation. Well-established companies that people talk about with a smile are always your best bet. When it comes to have artificial grass installed in your property, Green Turf simply can’t be beat. We have a well-established reputation for always providing high quality, impeccably installed artificial grass for all kinds of residential and commercial properties in San Diego county and beyond. 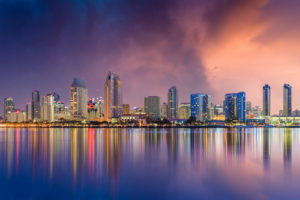 We’ve been serving residents of San Diego county for years, so don’t be shy – ask around to your friends, neighbors, and colleagues – and you’ll find that every time Green Turf comes up, the reactions and reviews are always positive. That’s because we’re committed to serving each and every one of our customers and we strive to exceed their expectations during every project. When you rely on Green Turf, no matter how big or small your artificial grass needs may be, you’ll always be treated as a top priority. That’s the Green Turf difference. Perhaps you’ve already done your research and asked around, and you’re simply ready to start the process of getting artificial grass installed on your property. If that’s the case for you, how exciting! You’re going to love your upgrade when it’s complete. The first step is to request an estimate for your project by simply calling us at (951) 656-4150. We’ll also be happy to answer any questions you may have about artificial grass or the installation process. Don’t be shy! Stop struggling with high maintenance natural grass and enjoy gorgeous, durable, green grass 365 days a year when you upgrade your outdoor space with artificial grass from Green Turf. You won’t have any brown patchy areas anymore and you won’t have to spend a fortune watering your lawn in an effort to make it green. Instead, switch to eco-friendly artificial grass, which requires very little watering (just turn a sprinkler on every once in a while to rinse away any debris that may have accumulated), zero mowing, and zero chemical fertilizers or pesticides. You’re going to love how easy to maintain artificial grass is and how your lawn looks nice every day of the year! 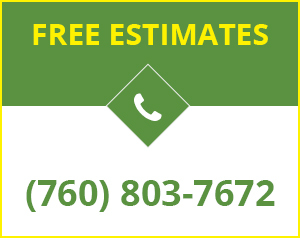 Request your free estimate for your property anywhere in San Diego county by calling Green Turf at (951) 656-4150. Wow your clients, customers, and employees by upgrading your commercial outdoor space with beautiful artificial grass from Green Turf. It has been specially designed for maximum visual appeal, strength, and durability. Commercial turf for your property in San Diego county is a wise investment – request your free estimate now by calling Green Turf at (951) 656-4150.